In 1969 a test was started with the Manic GT to put a car on the Canadian market, which should conquer the hearts of the sporty driver. The idea came from Jacques About, who was working in the press section of Renault-Canada in the mid-1960s. 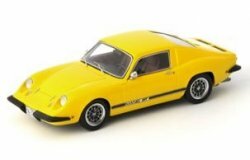 He closely followed the European automobile market, especially the small sports car “Alpine A 110” of Renault France that could be bought at the Renault dealers. In response of his question, if you can officially offer in Canada an Alpine sports car over the Renault distribution network to the customer, but he was rejected. This was exactly the answer that he wanted, and he started immediately to turn over this own idea. He found investors and created a car body made of fiberglass by using the platform and running gear of Renault. Equipped with a Renault engine, About presented his small sports car on the Montreal auto show in 1969. The enthusiasm of the public fulfilled not only the expectations of the creator, but surpassed it by far. Production kicked off in October 1969, and a new problem arose quite quickly. Jacques About received so many orders that he had to feed off his new customers with a waiting time of up to two months. What began so promisingly, ended after a short time. The French parent company of Renault delayed again and again the delivery of the urgently needed running gears and engines which in turn caused production of the Manic GT to increasingly slow down. The company could bridge the year 1970, however in 1971 there was no hope. After 160 examples had been produced of the Manic GT, the assembly of the company L´Ecurie Manic was definitely discontinued. For many people the BMW 507 of the year 1956 is still one of the most beautiful passenger cars of the whole automobile history. Its designer, the German Albrecht Graf Görtz, was living in the USA at the time, and he learned his trade in the office of the legendary US star designer Raymond Fernand Loewy. Loewy created the symbol of Shell – the Shell mussel – and therefore he was leaving worldwide a lasting impression in the history. Besides industrial projects, Loewy also created automobile chassis, mainly for the US manufacturer, Studebaker. After the end of the Second World War, the young Albrecht Graf Görtz came to work in his design office and worked there until 1953. Four years later, Lowey placed an order in Munich for a 507 without chassis. 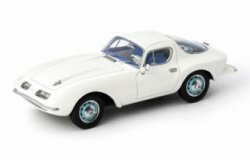 Within a short period he realized his own ideas and equipped the BMW 507 with a fiberglass chassis, which was manufactured at the French company Pichon-Parat. Rounded features were characterizing the 507 with front looking like a smiling face; the car windows had all rounded corners and the futuristic design of the exhaust pipes was reminding strongly of American style elements. However, a safety bar was showing high safety awareness and also electrically operated windows were installed into the unique model. In October 1957, Loewy´s own 507 was presented to the public on the Autosalon in Paris and caused a lot of discussions. Albrecht Graf Görtz certainly considered this unique model, but how he reacted is still not known, but the BMW type 507 was the car, where the spirit of the master and his student came together. Loewy drove his 507 until 1962. Paul Jaray, who was born in Vienna in 1899, was one of the significant pioneers of design for aerodynamics for vehicles. As early as the 1920s, he registered a patent for an aerodynamically performed body shape. The central point of Jarays´ streamline idea was always the search for a shape, which would be so aerodynamically perfect that absolutely no turbulences by interruptions in the car body were possible. According to his wishes, the underbody of the vehicle should also be like a cover which is executed as an exactly parallel-running area of the street. Paul Jaray made a lot of experiments and was realizing his own car bodies on many chassis of well-known car manufacturers. 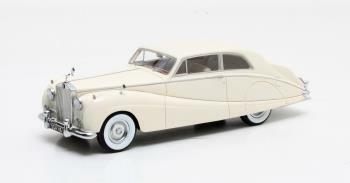 In the first half of the 1930s, he was also taking care of the body work for the Mercedes-Benz 200. He formed a car body around the chassis, as a right-hand drive version, and his design was manufactured of metal by the Swiss car body specialist Huber & Brühwiler. In 1934, this unique model was presented to the public on the Geneva Salon for the first time. A lot of visitors were very inspired, however no manufacturer was found to go into production with its shape. Jaray was not discouraged and started a big advertising tour across Europe, with his unique car, to convince potential customers to consider production. However, his office did not receive orders after his advertising tour. The unique Mercedes-Benz 200 survived the chaos of war in undamaged condition and before the end of the 1940 the definitive end was coming for the Swabian reconstructed vehicle because its engine was completely damaged. During the first part of the 20th century, Edoardo Bianchi had a good reputation as manufacturer of bicycles and motorcycles in Italy. In 1955, together with Pirelli and Fiat, he founded a new car brand called “Autobianchi”. With this company, Bianchi began to develop new models with the technology of Fiat. This would lead him to design his first automobile. During the Turin Motor Show in late autumn 1963, Autobianchi was presenting its first car to the public, the “Stellina”, which means “little star”. 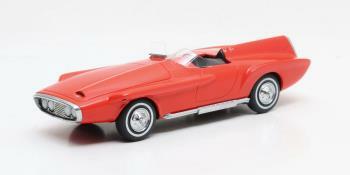 Stellina was the first full production car made with an all fiberglass body. The designer of the car, Luigi Rapi, was creating a rear-engined cabrio that was constructed of fiberglass reinforced plastics and was based on a box-shaped steel frame. It was powered by Fiat’s 600D rear-mounted, water-cooled, 767 cc straight-4 engine. This little engine delivered only 29 hp, which allowed the Stellina to achieve a maximum speed of just 115/km/h. With a length of 3.67 meters and a wide of 1.43 meter, and a weight of 660 kgs, the Stellina was underpowered and therefore it could not achieve the sporty driving performance that the designers wanted. Very soon, the small spider got the reputation of a women´s car because of the paint colors and accessories you could choose. For example, you could choose very bright colors, white sidewall tires, and spoke wheels. The second series of the Stellina debuted in 1965, and the car saw some upgrades. The main upgrade was a slightly more powerful engine. A 792 cc motor was used, but power only increased to 31,5 hp, which was still not sufficient enough to make the car “sporty”. 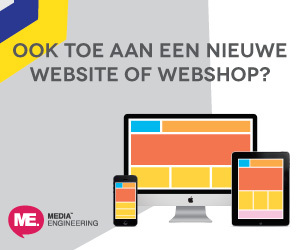 The sale of the new version was not significantly better either. 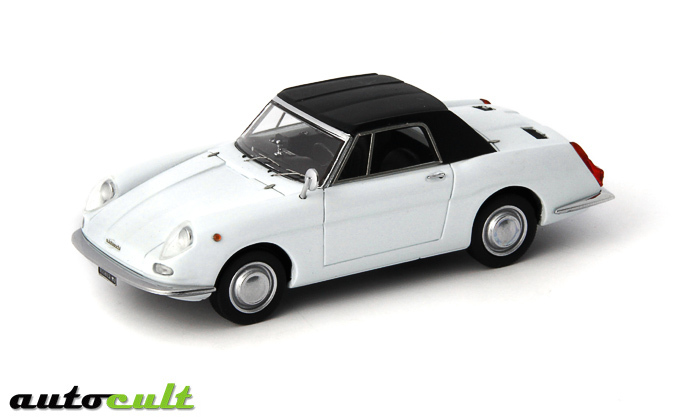 With a starting price of 980.000 Italian Lira, the Stellina could no longer compete with the new 1965 Fiat 850 Spider, and production was eventually shut down. Only 502 Stellinas were made until production ceased in 1965, and only a few examples still survive today. The main reason that only a few cars still survive was the use of a steel frame, which rusted very quickly. Is it a Car? Is it a Motorcycle? To boost sales of the Goliath-vehicles, a well-used but still valuable recipe was used…. A vehicle should be created to break all the records. In 1951, the idea of the Goliath began, but the project did not start with immediate construction or concept designs. It began with the study of automotive record lists. The best chances were seen in the category of “vehicles up to 750cc engines”. The Goliath actually used 700cc engine, but the compression was increased and a larger carburetor was used. This helped boost the horsepower produced by the little two-stroke from 24 to 42! 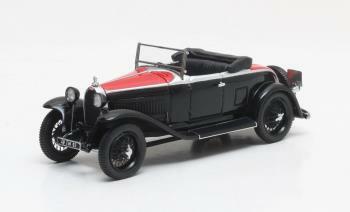 The chassis, axles, wheels, and the gearbox were existing parts that came from a three wheeler van and a small truck. 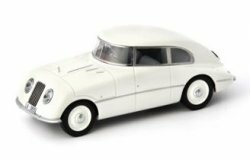 The only special component which was built was an aerodynamic light-metal chassis, and the rear part was shaped similarly to the Borgward-INKA record car of 1950. 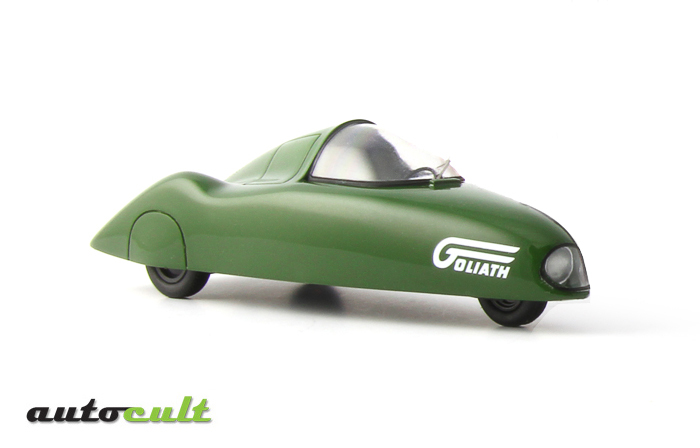 With the combination of this design and power, the Goliath could reach a top speed of 155 km/h. This speed allowed the Goliath to set 38 world records in total in the newly created classes for three-wheelers that had 750cc – 1200cc engines. The most important records were the two hours with an average speed of 155 km/h and the 2000 miles with an average speed of 130 km/h. The drivers who were taking turns during the endurance record were Hugo Steiner, Adolf Bruders, Hans Hugo Hartmann, Otto Koch-Bodes and Helmut Polensky. However, after all this work, the FIA did not recognized the records officially. They said it was because they were not certain of the vehicle type. August Momberger, a former technical director, was completely frustrated and wanted to cancel this adventure “record drive” but a team member came up with the glorious idea: if no car, then a motorcycle combination. The FIA-functionaries could not reject this idea, and the vehicle was permitted to its class. The motorcycle license was quickly applied for the drivers and so they can started again. Such a record drive was repeated on the German Hockenheimring in autumn 1951, but the car somersaulted and was completely destroyed. This accident also tragically claimed the life of the driver, Hugo Steiner. In 1957 the factory of Faun put a small truck called the F24 on the market. First it was bought by small traders, then at the beginning of 1960 the gear specialist “Magirus” (Klöckner-Humboldt-Deutz (KHD)) from Ulm was showing interest as he saw an ideal basis for the reconstruction of a fire department truck. In the Ulm factory a closed platform body was especially chosen, where all necessary equipment for firefighting and also a nine-man-team found sufficient space. The Magirus factory in Ulm was supplied with the complete chassis by the company Mayer in Augsburg, company Wendler in Reutlingen, or the company Ottenbacher in Biberach. Creativity of the Ulm´company Magirus was needed to accommodate all necessary equipment. Their biggest stroke of genius was undoubtedly the integration of the fire pump into the vehicle front without any change to the body design. With the right trick, they found an excellent solution; they cut out the middle part of the front and equipped it with a two-part flap. On one hand one part could be turned up and on the other hand the second part, which was integrated into part of the bumper and could be swung down. This paved the way for the use of the equipped fire-fighting centrifugal pumps called FP 8/8 from Magirus. It was possible to extinguish local fires and also to fix other rescue missions without any additional efforts with the small Faun-Magirus. 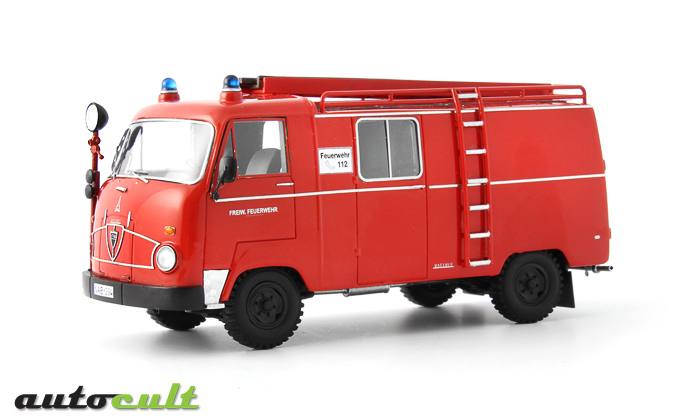 In the course of the 1960s, 229 firefighting group vehicles were built in total by the Magirus factory in Ulm on the basis of the Faun F24 in cooperation with Faun and Magirus. Many of them still existed up to a few years ago, and they truly fulfilled their service in fire protection. Electric vehicles are not an invention of the recent automobile era; they already existed in about 1899/1900. 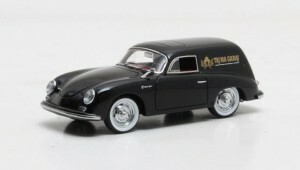 Ferdinand Porsche, who later became very famous, was the driving force as the first electric driven four-wheel vehicle was created by the Austrian company Lohner & Co.
A patent was granted to the only 24-years-old Porsche and the 40-years-old Ludwig Lohner for wheel hub motors which were assembled directly on the steerable axles. 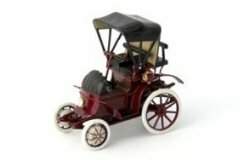 Their presentation of the vehicle on the world exhibition in Paris in 1900 made the Lohner electric vehicle widely known, but when the combustion engine started its triumphal procession, it became extremely difficult for the electric drive to compete on the automobile market. Arguments, which are partly still right, still counted at that time. So the accumulators und hub motors were very heavy, the maintenance of the batteries was very intensive and the vehicles were expensive. Lohner & Co. was quick to appreciate, that this was hindering the sale and the implementation on the market. As a result Porsche was developing a vehicle, where electric motors were supported by two combustion engines of Daimler – the first hybrid car of the world – as a way out of the misery. But this was not enough for Porsche, as he was also building his own racing car, which was equipped with an electric motor on each wheel. After his victory at the Semmeringrennen in 1900, he proved the performance and built unconsciously the first all-wheel-drive automobile in the history. In 1904 Porsche left the factory Lohner & Co. and devoted himself to her automobile projects. The current development of emission-free means of transport is moving however the invention of the ingenious and blessed constructor to a current point of view and is showing impressively as Porsche previously thought. Only 78 vehicles, equipped with an electro-hub motor, were manufactured between 1900 and 1905 by Lohner & Co, among them passenger cars as well as trucks and busses.